UPDATE: THE Australian Transport Safety Bureau says debris found washed up on the West Australian coast is highly unlikely to be from from missing Malaysia Airlines flight MH370. The assessment follows the ATSB's careful examination of a set of forensic photographs supplied by the West Australian police yesterday. ATSB Chief Commissioner, Mr Martin Dolan, said the ATSB took all suspected leads in the search for the missing aircraft very seriously. "The ATSB examined the forensic photographs of the material to see if it has any relevance to the search of MH370," Mr Dolan said. "After careful and detailed examination by investigative experts, our assessment is that the material is highly unlikely to be related to MH370 and will not be used in the search for the missing aircraft. "We also passed the photographs to the Malaysian authorities, who are leading the investigation." AUTHORITIES searching for the Malaysia Airlines flight MH370 have launched an investigation to establish whether some debris found on the west coast of Australia could be linked to the missing jet. Pictures of the material, described as looking like sheet metal with distinct rivets, have been passed to the Australian Transport Safety Bureau (ATSB) for further analysis. The debris, discovered by a member of the public walking on the beach near Augusta in Western Australia, is a rare visual lead and comes at a point when, experts said, there is a good chance material from a plane crash in the Indian Ocean would start washing up. Officials have nonetheless advised caution, with ATSB chief commissioner Martin Dolan telling reporters that "the more we look at it [the debris], the less excited we get". He said a full analysis could take a number of days, but added: "It's sufficiently interesting for us to take a look at the photographs. We take all leads seriously." 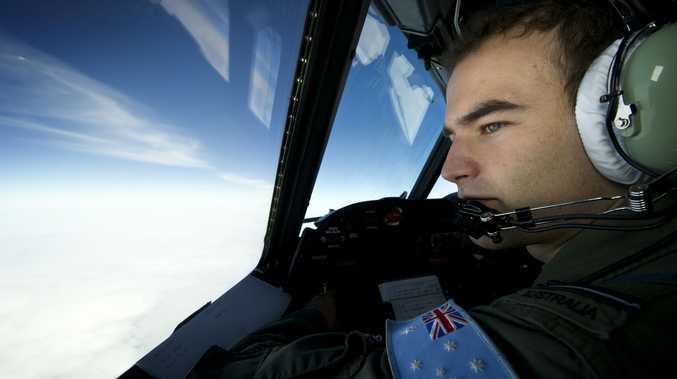 Even if investigators fail to link the latest piece of debris to the jet that vanished on 8 March with 239 people on board, the Western Australia emergency services minister Joe Francis said there was a decent chance material on the plane would make its way to land at some point. "It wouldn't surprise me if sooner or later ... if there was debris floating, it would end up on the West Australian coast," he told ABC local radio in Perth. "Weather systems in the southern hemisphere predominantly move in a clockwise direction, and this time of the year the Leeuwin Current is pretty much at its strongest. "Anything in that area over 50 days travelling at two knots, say four kilometres an hour, sooner or later is likely to have been caught up in it [the current]." Meanwhile, the Australian prime minister Tony Abbott said that it would not be the end of the underwater search if the submersible Bluefin 21 failed to find any clue in the area it is currently scanning. The submarine has scanned more than 80 per cent of the 310-square kilometre (120-square mile) seabed search zone off the Australian west coast, creating a three-dimensional sonar map of the ocean floor. Nothing of interest has been found. When that search is complete, more powerful sonar equipment is expected to be brought in to search further and deeper than the capability of Bluefin 21. A the same time, the search coordinators said visual searches would continue in a bid to locate debris in a wider area around 1,600km (1,000 miles) northwest of Perth. Though a tropical cyclone suspended the air search for a second day, officials said 12 ships joined Wednesday's search covering a stretch of around 38,000 square km (14,500 square miles) of sea.